I want to begin by congratulating the members and leadership of CECP for 20 years of terrific accomplishment and growth. I’d also like to thank Doug and Daryl and the CECP board for recognizing the Ford Foundation’s early commitment, 20 years ago, and our ongoing partnership. We’re very proud of that partnership and CECP’s work, and more than anything, I want to underscore how important it is that CECP has continued to evolve over the years. It has never stood still, and it is stepping up in new ways to seize new opportunities. That includes innovative and even urgent efforts, like the Strategic Investor Initiative, which the Ford Foundation seeded a few years ago. I want to acknowledge the leadership of the Heron Foundation, which co-funded that with us. My friend, Dana Bezerra, president of Heron, is here with us tonight. It’s been about four years since Daryl and his team met with me to outline the aspirations of this investor initiative and how it grew out of candid, and sometimes frustrating exchange between CEOs and some of the world’s largest asset owners—institutional investors such as pension funds. What compelled me about this effort was and still is this: The underlying vision for how the members of CECP can lead, to shift incentives in the investment marketplace—lead at such a crucial and volatile time for business and society. What further compels me is the thought of how essential it is that business leaders lead together, act collectively and with urgency to shift the incentives that drive so much business decision making, especially by publicly traded companies. It’s fundamentally different from acting or declaring commitments one company at a time. 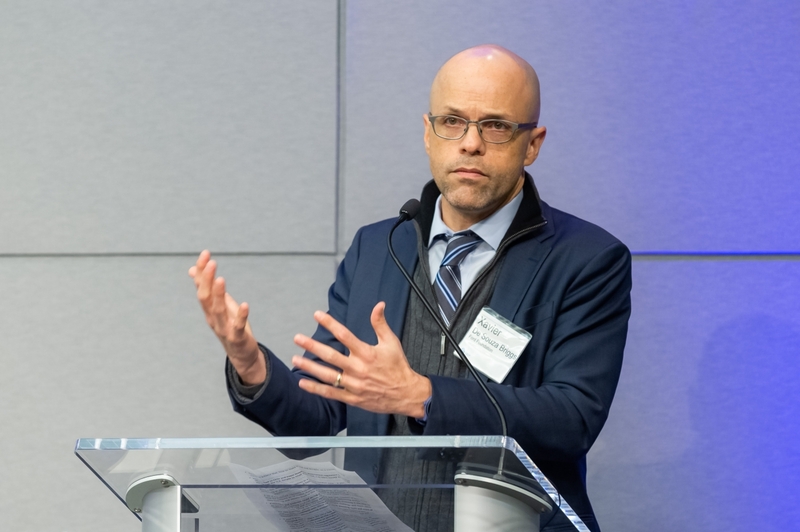 Read the full remarks of Xavier de Souza Briggs, Vice President, U.S. Programs, Ford Foundation, on the CECP Insights Blog.